I believe that skincare plays a huge part in making your makeup application flawless and effortless. I also believe that if you are using the right products for your skin type then you will be able to see visible changes to your skin within a few weeks. I want to add a new feature to WLL all about skincare, Skincare Chat! I don’t talk about skincare enough on my blog and I want that to change. I’m starting my Skincare Chat series on cleansing. I think that cleansing the skin is one of the most important steps, because you want something that is able to not only remove makeup but to cleanse the skin from bacteria and dirt that collects during the day in your pores. Sounds gross huh. As of recently I think that I have developed a cleansing routine that I am happy with and that works with my skin type. Although i’m never one to sleep with my makeup on, I feel that I haven’t been as thorough with my cleansing routine. I have broken down my cleansing routine to 3 easy steps, to help remove, cleanse and purify. 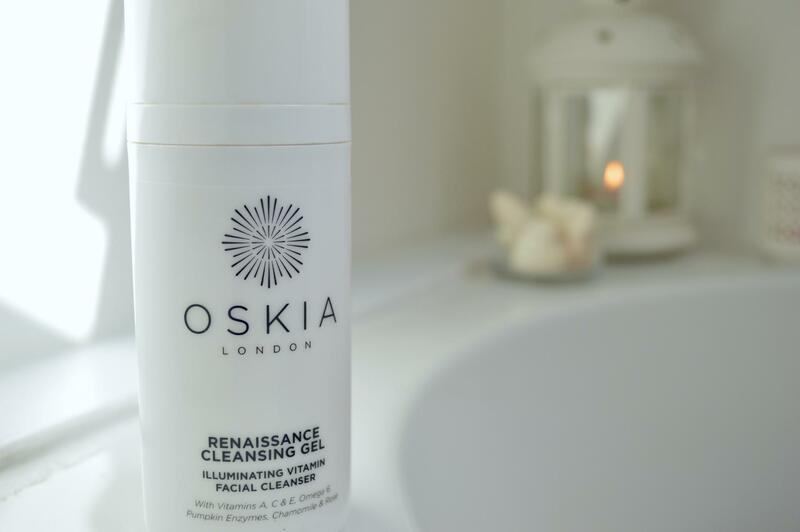 Removing my eye makeup is my main priority in the evenings, most of the time I use Oskia renaissance cleansing gel (£28), this breaks down makeup effortlessly with its gel constancy. I use a small amount on the tips of my fingers and really work it into my lashes and lash line to dissolve the makeup. Half a pump is enough for both eyes, I then use a damp cotton pad to swipe the remainders of the makeup away. When I don’t use Osika renaissance cleansing gel I opt for my trusty Bioderma (£10.20) to remove my eye makeup. I have raved about Bioderma for ages and I still love it, I haven’t found anything that is just as good yet. So I will continue to use it. To start off my thorough cleansing routine, I use Oskia renaissance cleansing gel (£28) I take 1-2 pumps onto my finger tips and really work the product onto my face, this helps to dissolve my makeup and cleanse my skin. I then take a warm muslin cloth and remove the makeup off my face. The muslin cloth will allow you to pick up more dirt than your finger tips can, I focus on any problem areas which seem to be my chin and around my nose. This is my second tube of the Oskia renaissance cleansing gel, the all natural ingredients are packed full of nutrients which help the condition and appearance of the skin. This cleanser also helps to clear out pores which is defiantly what you need at the end of day and even in the morning to get rid of sweat and dirt. I would highly recommend checking out Oskia as a brand because they do some amazing skincare pieces (the renaissance mask is my favourite), this cleanser is also suitable for all skin types so anyone can try it. For a deeper cleanse, I take the Lancome Gel Éclat clarifying cleanser (£22.50) and apply this onto my Clarisonic Mia 2 device (£125). By using my Clarisonic device for just over a year now I have seen noticeably smoother and brighter skin. I try to use this every night and when I feel my skin needs a thorough deep cleanse. 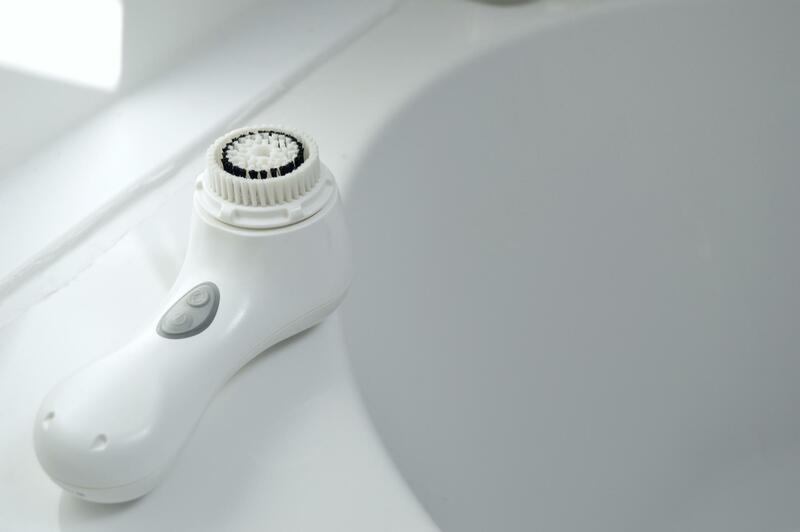 By using the Clarisonic it helps to pull out any additional dirt and grime that is still under the skin. It also exfoliates and cleanses the skin, I focus this on any problem areas such as my chin and any areas where I have visibly bigger pores, such as my nose and cheeks. I can’t go without this step in my skincare routine. What do you use to cleanse your skin? My next Skincare Chat will be all about moisturisers.